As you surely don't know, Scandinavian Santa used to kick it with a goat monster named Krampus who totally ate kids, and adults dressed up like monsters to scare him away. 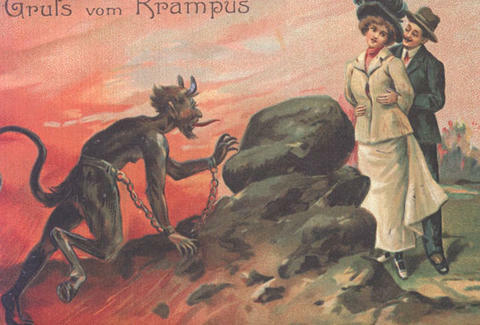 To celebrate such a joyful time, hit Saturday's Krampus Nacht party at Mt. Tabor in your finest off-season Halloween costume to enjoy a gigantic goat monster, live music, and enough booze to turn even the nicest kid naughty.